Palram Arizona Double Carport Breeze: This Double carport is idea for housing two cars or for providing a generous outdoor sheltered area. 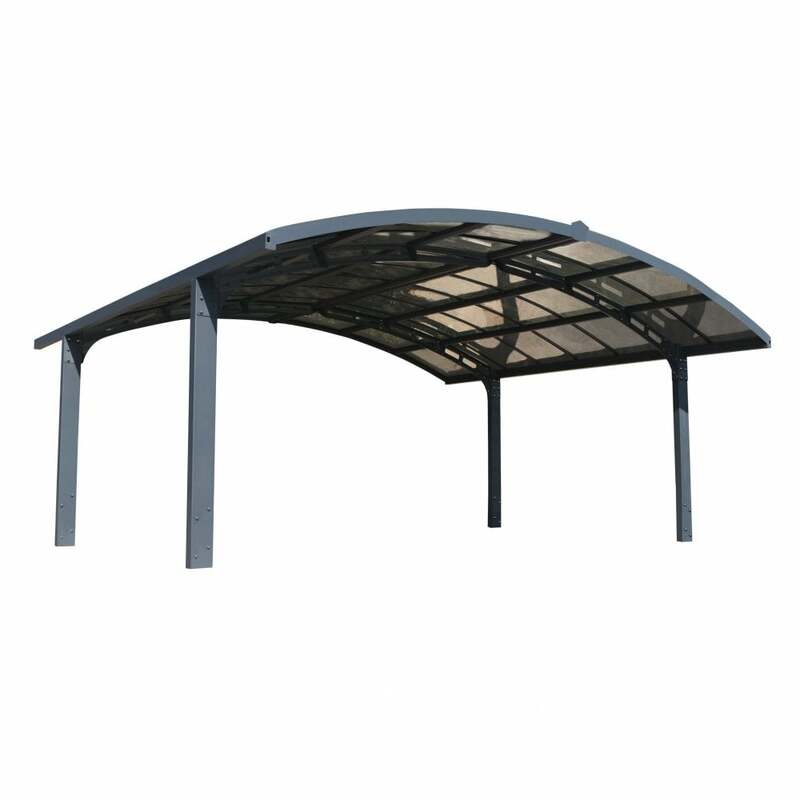 The carport comes in two parts so can be constructed as either a ‘wing’ or an ‘arch’ design as shown in the images to best utilise the space you have available. There is a joining kit included with the carport to fit the two sides together in your desired format. The structure is strong and durable and requires very little maintenance once assembled. The polycarbonate panels are 100% UV protected so whether you are using this to cover you’re your cars or as an outdoor canopy you can rest assured that you need not worry about the sun coming in through the roof. Assembly is relatively simple and full instructions are provided to assist you. Please note that this carport will need to be set into the concrete footings are required for the installation of the structure.